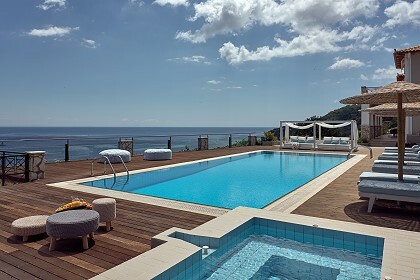 Villa Shameti is a wonderful, newly built luxury villa in the outskirts of Zakynthos Town, which is the capital of the beautiful Zante Island. 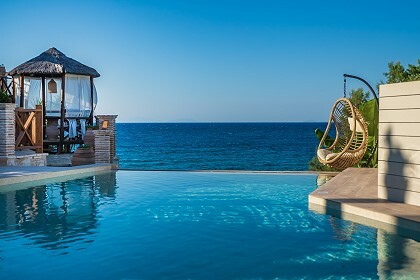 The villa, along with tasteful decoration and modern furniture, also offers a private swimming pool, as well as a BBQ and vast outdoor spaces! 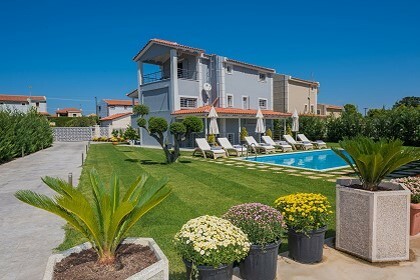 Experience the island of the Ionian Sea with the unmatched beauty and the unforgettable beaches – while staying a few minutes away from a lovely town. The villa measures 206 square meters in total, and is spread upon three levels (including a semi-basement). The ground floor and the first floor is a maisonette, which sleeps up to 4 guests. 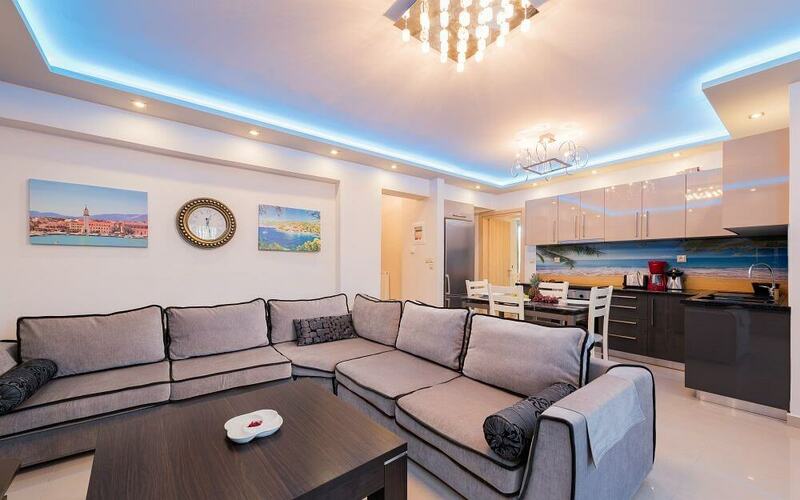 It features a kitchen, a bathroom and a living room with a fireplace on the ground floor, as well as two bedrooms and extra bathroom on the first floor. The bathrooms are equipped with a shower and a bathtub, respectively. 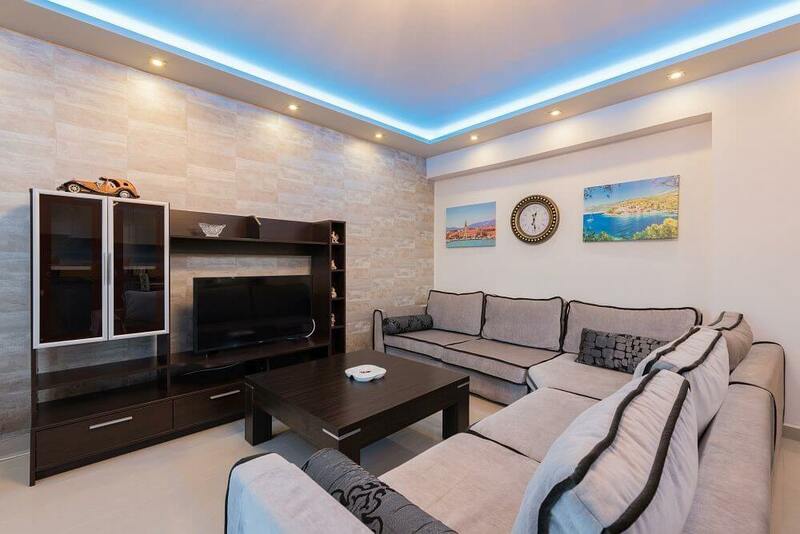 The semi-basement features a living room, a fully-equipped kitchen, a bathroom with a bathtub and a bedroom. It can sleep up to 4 guests.Both accommodations are rented together, and they have access to fenced outdoor spaces, which are spacious and carefully tended, a private swimming pool, as well as an outdoor BBQ, outdoor furniture and showers! 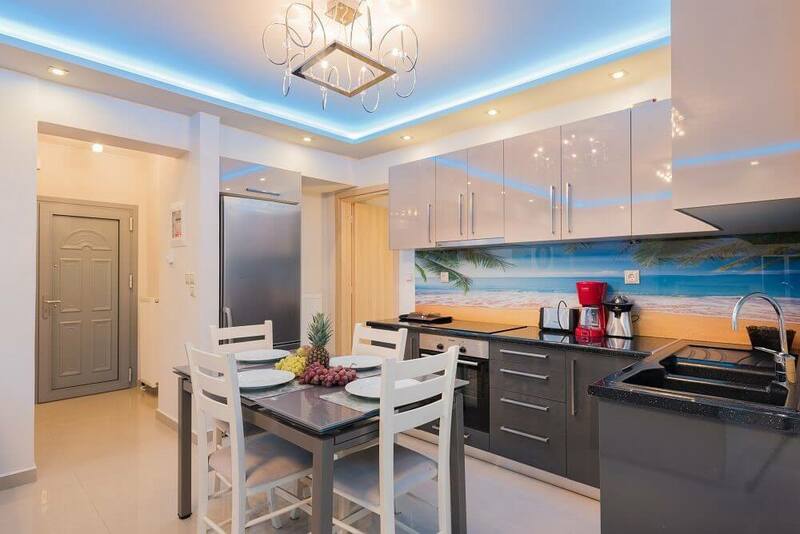 Villa Shameti offers private parking, free WiFi in all rooms and public areas, pool towels, bathroom products, 24-hour hot water and many more. Other extra services such as car, motorcycle and bicycle rentals, yacht charters, can be arranged upon request and with an extra charge. 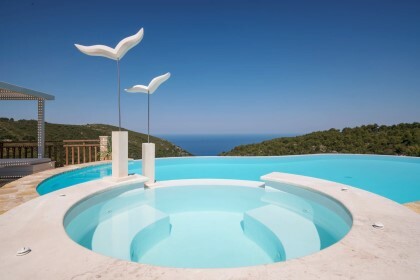 Villa Shameti is located in the outskirts of Zante Town, in an area called Kipi. 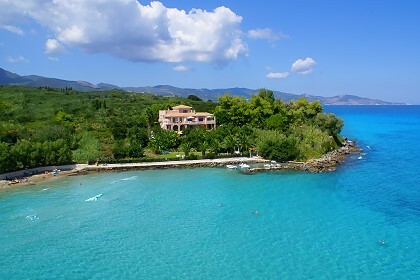 Since the area is very near the capital of the Island, the guests of Villa Shameti can visit a multitude of shops, restaurants and bars, as well as many historical sites, picturesque neighborhoods and the National Marine Park – by embarking on a tour from the port.